Gov. Paul LePage speaks during the second day of the 2014 Maine Republican Convention at the Cross Insurance Center in Bangor. 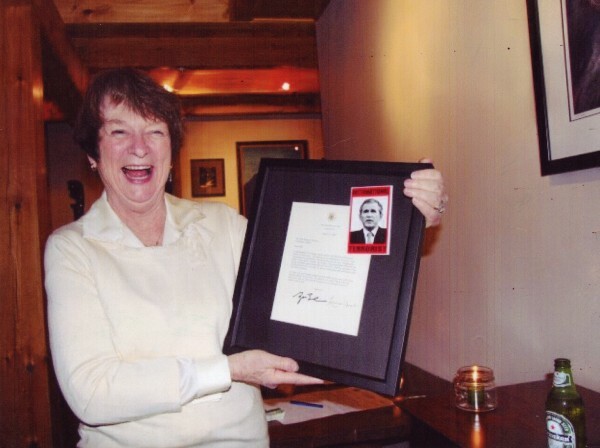 This undated photo shows Libby Mitchell laughing at a description of former President George W. Bush as an 'International Terrorist,' the Maine Republican Party said. AUGUSTA, Maine — For the roughly 62 percent of voters who chose someone other than Republican Paul LePage for governor on Election Day in 2010, the result was a shock. They remember a campaign full of controversy over property tax payments, threats to punch reporters and a promise that, if elected, the Waterville Republican would tell President Barack Obama to “go to hell.” They also remember independent candidate Eliot Cutler gaining popularity in the final weeks of the campaign, coming within 2 percentage points of LePage in the final tally. In retrospect, LePage’s win looks more like a foregone conclusion. During the last six months of the campaign, pollsters accurately predicted the eventual winner. A few times, the polls showed a tight race and Cutler gaining support, but LePage never really dropped from the leading position. None of the questions about style, tone or rhetoric seemed to matter to the plurality of supporters that LePage had spent the entire campaign courting. After decades in the minority, buoyed by the tea party wave surging across the nation, new activists and traditional GOP partisans alike flocked to the outspoken candidate promising smaller government, job creation and a business-friendly administration. Dutson said by getting the soon-to-be-governor to stay on message and away from controversy in the closing weeks of the campaign, LePage’s team managed to pull off a shock win — even if it shouldn’t have surprised anyone. This history matters as LePage and Cutler will again be on the ballot on Nov. 4, joined by six-term Democratic U.S. Rep. Mike Michaud. In the beginning of October, LePage and the Democratic candidate, then-Senate President Libby Mitchell, were in a statistical dead heat. Cutler lagged behind them, polling in single digits. By the end of the month, Mitchell was in the doldrums, watching her supporters peel away to support the independent, who experienced a late surge that nearly saw him win the Blaine House. The results on Election Day had LePage win with 37.8 percent of the vote. Cutler finished less than 2 percentage points behind. Mitchell won less than 19 percent of voters. Long-shot independents Shawn Moody and Kevin Scott soaked up about 6 percent of the vote. Four years later, insiders say a combination of factors led to the Democrats’ largest electoral loss in decades. The party lost not only the Blaine House, but both chambers of the Legislature. Some chalk it up to the anti-Democrat, anti-incumbent sentiment that swept the country that year. That made Mitchell — who after decades in Augusta personified “political establishment” — a weak candidate from the start. But national sentiment wasn’t the only issue at play: LePage’s team ran a field campaign that outpaced his opponents at every turn, leading the Democrats to embark on a post-defeat effort to re-solidify their base — an effort to fight what one party leader called “complacency” that had overtaken the party. 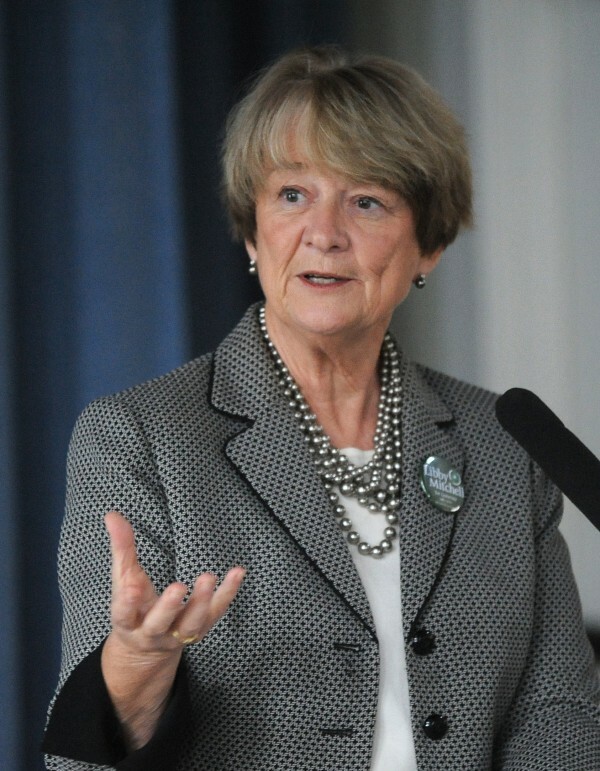 Mitchell’s campaign didn’t do enough to connect the candidate to rural voters, or to empower county committees and other activists and allies, said Mary Erin Casale, who became executive director of the Maine Democrats during the 2010 campaign. She still holds the post today. The photo didn’t single-handedly cause Mitchell’s dive in the polls, but it didn’t help. The Democrat had spent much of the campaign focused on criticizing LePage for his abrasive style and heated rhetoric. LePage used the photo to paint Mitchell as a hypocrite — a message party insiders today say hurt her campaign. In late September and October, after a summer of high-profile gaffes and outbursts, LePage’s campaign began to focus the candidate’s message and made a concerted effort to control his public image. To some, including Cutler campaign manager Ted O’Meara, that seemed to mean keeping LePage away from cameras. “We really believe the governor was one more outburst away from handing us the election, but in the final weeks, they shut him down,” O’Meara said. Previously, the LePage campaign had devoted nearly all its effort to its grass-roots operation. The campaign didn’t have a defined communications strategy, Dutson said, which is a rarity in the modern political era. Facing pressure from national allies, including the Republican Governors Association, the campaign hired former U.S. Sen. Susan Collins staffer Dan Demeritt as communications director. After Demeritt was hired, a more disciplined candidate emerged. During this period, LePage debuted the phrase, “I’d rather have my foot in my mouth than Libby Mitchell’s hand in my pocket.” His supporters ate it up. It’s also when he first brought up his intention to repay hundreds of millions of dollars in debt to Maine’s hospitals, a goal he achieved three years later. LePage used the hospital debt as an example of what he called Democrats’ “fiscal mismanagement” — a message that resonated with voters still reeling from the Great Recession. In late October, LePage skipped the MPBN’s gubernatorial debate, the last debate broadcast statewide. Opponents accused the campaign of trying to shield the candidate from the public. Dutson said debates and other public appearances were viewed as potential liabilities, and that for LePage — ahead in all the polls — direct voter outreach was more beneficial than appearing in debates. In 2010, Hampden native Matt Gagnon worked for the National Republican Senatorial Committee, and covered the gubernatorial election for the popular Pine Tree Politics blog. His connections in the party provided him insight into the race. Perhaps the most compelling narrative in the 2010 election is “strategic voting.” The story goes like this: Some voters — mostly liberals and left-leaning independents — were looking to pick whichever candidate could beat LePage. Those voters came to the conclusion that fall that Mitchell, despite being their preferred candidate earlier in the race, simply wasn’t viable. “People could see that Mitchell was going nowhere, and I think a lot of Democrats began to shift,” said Patrick Murphy, who heads the SMS Pan Atlantic polling group in Portland. On Oct. 13, a public poll conducted by Rasmussen showed Cutler surge above 20 percent for the first time. In the following weeks, voters were treated to an extraordinary amount of polling from both state and national groups, most of which showed Cutler’s support growing faster and faster. 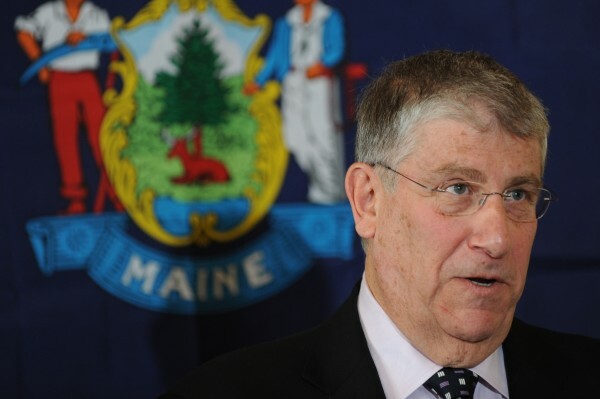 “As there was a drop-off for Libby’s support, people knew they didn’t like Paul LePage and it made it easier to jump on board with the guy who was going up in the polls,” said Casale, the Maine Democrats executive director. More than 130,000 of 2010’s votes were cast by absentee ballot, which are available to any registered voter who wishes to vote early for any reason. At least 50,000 of those absentee ballots came from registered Democrats. On the Monday before Election Day, Cutler’s campaign went so far as to tell voters they could take back absentee ballots they had already cast and vote for Cutler instead. The strategic voting story is accepted as gospel among most political observers, but that doesn’t mean it sits well with everyone. O’Meara said that Cutler’s surge was a result of the months-long campaign the independent had run. It was helped, in the end, by the endorsement of most of Maine’s daily newspapers, and Angus King, at that point a popular former governor. 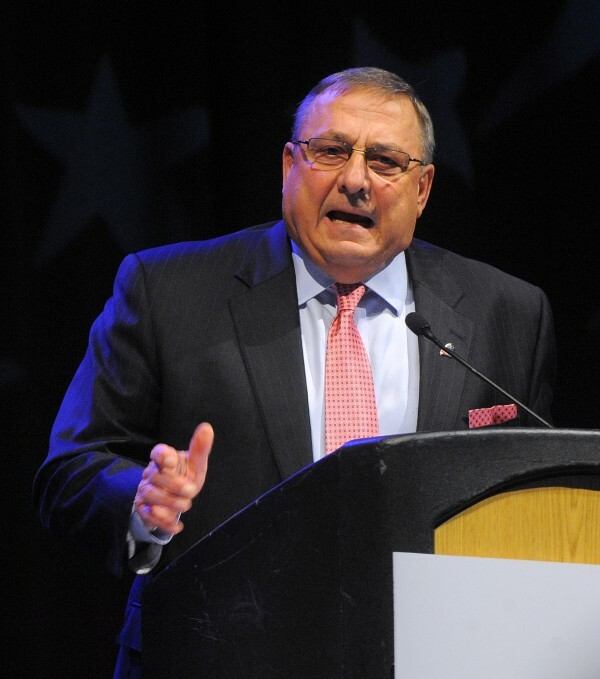 LePage is now an incumbent governor, with a record voters can scrutinize. 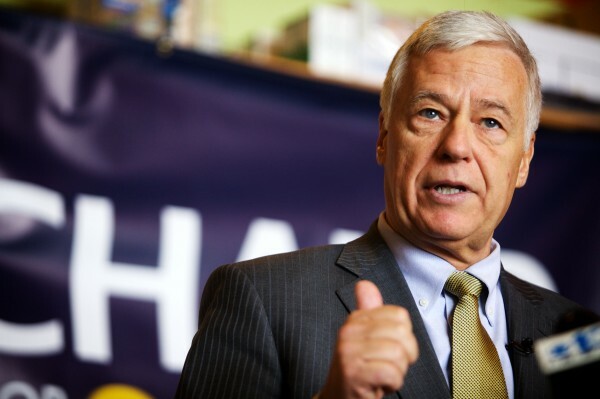 Michaud, with more than 30 years of experience in Augusta and D.C., has never lost an election and is widely considered a stronger candidate than Mitchell. Cutler is no longer a new face. Only time will tell, as Election Day looms larger, how much 2014 will look like 2010. Tomorrow, Part 2: Will 2014 be 2010 all over again?